New York is a busy city with a hard working population and many hazardous jobs that need to be done. When a workplace injury occurs, both the employee and the employer should follow a certain protocol to properly document the accident and injury, as well as arrange necessary workers compensation paperwork. 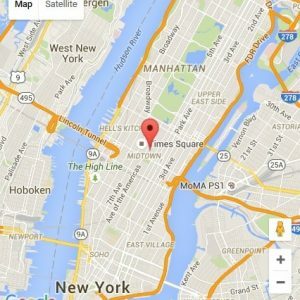 Hurt on the Job in New York City? Any injury victim should promptly obtain any medical attention needed. When the injury resulted from a Workplace Accident, inform your doctors’ staff for medical insurance billing purposes. Medical bills for Workplace Injuries are paid through the New York State Workers Compensation Board. If you were hurt at work, alert your employer within 30 days of the accident. Click here for a sample Notice of Injury to Employer. If the accident occurred at a construction site, it may be necessary to alert one or more construction Sub-Contractors, as well as the construction site General Contractor. A workplace injury results from a hazardous condition or accident suffered by an employee while performing their job duties. In addition, workplace injuries include any injury sustained in the workplace, even if that activity was unrelated to the employee’s job duties. Further, workplace injuries also include accidents that occur while an employee is commuting to work or home, as well as injuries that occur on a lunch break or outside of the workplace. Given the broad scope of what constitutes a workplace injury, Workplace Accidents are a leading cause of bodily injury in New York City. If you have been hurt in a workplace accident, a claim for compensation can be filed with the New York State Workers Compensation Board. A claim under New York’s Workers Compensation Insurance law must follow the correct procedural requirements. A late or improperly filed claim can result in a loss of benefits. Click here for more information on the required Notices of Claim for accident and injury cases. When a workplace accident results from the negligence of a third party, a separate claim can be filed against the company and/or people responsible. The accident victim should not delay in pursuing a claim, as several filing deadlines may apply. Click here for more information about the Statute of Limitations. Our New York Work Injury Lawyers represent victims of all workplace accidents. We fight for the rights of injured New Yorkers in Manhattan, Brooklyn, Bronx, Queens and throughout the New York area. If you have been hurt in an accident, call our personal injury lawyers today for a free consultation. Our experienced attorneys are available to review your medical records and provide professional advice on how to seek monetary compensation. Contact our New York work injury lawyers today. New York Cement Truck Accident Lawyers – Pouring Cement Injury? Can an NYC Employee Sue the City for a Work Injury? U.S. Postal Worker Compensation Lawyers – Hurt Lifting Mail Sack?